The list includes the popular but vague term “empowerment;” “coterminosity,” a situation in which two organizations oversee the same geographical area; and “synergies,” combinations in which the whole is greater than the sum of its parts. Business-school educators, please take note! My Father’s Day present this year was something unusual: issue number 11 (Winter 1998) of something called The Batman Chronicles. (My sons are both into comics and graphic novels, though it was apparently my wife who stumbled onto this on the web.) The issue is a slim comic book featuring “The Berlin Batman,” wherein the story of Batman is reimagined as having taken place in pre-war Nazi Germany. The hero is Baruch Wane, wealthy Jewish socialite and decadent cubist painter, who becomes Batman by night after his parents are killed not by a robber but by anti-Semitic violence. His mission, of course, is to fight the tyranny of Nazism, which in this issue involves — and here’s the punch line — trying (in the end without success) to save the papers of Ludwig von Mises, which have been confiscated by the Nazis. The episode goes into great detail about why the work of von Mises was a threat to the Nazis and to authoritarians of all stripe. This comic may be old news to many readers, but I found it amusing. The author, Paul Pope, is apparently well respected in comics/graphic novel circles for, among other things, a more elaborate reimagining of Batman in a totalitarian future. a web experiment designed to produce a book — a collection of essays and commentary on capitalism, philanthropy and global development — to be edited by us and published by Simon and Schuster in the fall of 2008. The book takes as its starting point a speech Bill Gates delivered this January at the World Economic Forum in Davos. In it, he said that many of the world’s problems are too big for philanthropy — even on the scale of the Gates Foundation. And he said that the free-market capitalist system itself would have to solve them. This is the public blog of a private website where a group of invited economists have spent the past couple of weeks criticizing and debating those claims. Unrelated horizontal diversification is widely seen as smoking-gun evidence of agency problems, and heavily sanctioned by capital markets, boards, media, etc. Consequently, we don’t see much blatant conglomeration anymore. But if you are a manger with a strong desire to build an empire, or more generally grow at “all costs,” what do you do? My conjecture is that unjustified vertical integration is increasingly taking the place of unjustified horizontal diversification as an expression of such tendencies. Why? Simply because the penalties (i.e. the costs) of growing via the latter have increased, which presumably creates a tendency to substitute towards the former. Admittedly, I don’t have much data to support this, but I do seem to recall that Fan & Lang (2000) found a strong positive link between verticality and the diversification discount. Less scientifically, I have tourist sampled the link between vertical integration and government ownership in my home country (Norway). There seems to be a strong positive correlation between public ownership and vertical integration, but no obvious correlation with horizontal diversification. Lately, American biography has fallen more and more into the hands not of writers but of academics. That some academics write very well indeed is, of course, perfectly true and, of course, perfectly rare. When it comes to any one of the glorious founders of our imperial republic, the ten-volume hagiography is now the rule. Under the direction of a tenured Capo, squads of graduate students spend years assembling every known fact, legend, statistic. The Capo then factors everything into the text, like sand into a cement mixer. The result is, literally, monumental, and unreadable. Thanks to LRC for the tip. The context is Gore’s praise for David McCullough’s short biography of Teddy Roosevelt (who Vidal calls a “sissy”), Mornings on Horseback. Of course there are some terrific academic biographers writing today such as Thomas McCraw and Guido Hülsmann. But they are probably the exceptions that prove the rule. The Chicago economics department views the world differently than anyone else, even other economics departments. Having learned my economics at Harvard and M.I.T., I took my first teaching job at Chicago with the very explicit idea that I would spend two or three years in Chicago to get to “know the enemy.” After I figured out how they thought, I would escape back to more comfortable surroundings. Well two things happened that I didn’t expect. First, it turned out that it wasn’t so easy to learn to think like a Chicago economist. I’ve been trying to learn for more than a decade and I still have learned only the rudiments. Every day my colleagues teach me something I should know, but don’t. Second, I decided that the Chicago approach to economics was the right one for me, even though I am not that good at it. I wish Levitt would elaborate on the differences between contemporary Chicago economics and the economics of Harvard, MIT, Princeton, and Stanford, because I don’t see any. The Chicago economics of 1970 or even 1980 was distinct from that of its East and West coast rivals. The Journal of Political Economy, and even more so the Journal of Law and Economics, had a unique style and approach. Chicago-influenced economics departments at UCLA, Washington, Texas A&M, Clemson, and elsewhere were disseminating (and deepening) the brand. But that’s all gone. It’s hard to see any unique vision today. Indeed, the diversity among US economics departments seems a thing of the past, as I noted before. They are all mini-MITs. How, exactly, is Chicago economics any different? 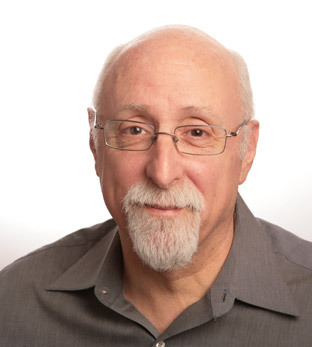 “If you could be anyone in the world, who would it be?” My usual answer is Walt Mossberg, the legendary WSJ technology reviewer. Imagine having access to nearly every cool gadget in the world, and being paid to play with them. Nerd-topia!